It’s a challenge to write about the Shepherd/Pastor. We’re so familiar with this gifting, over familiar even. The “Pastor” is the catch all job title of the Western Protestant Church Leader, right?. Pastors are spiritual leaders, business visionaries, heads of staff, health managers, communication experts, hirers and firers…we could go on and on, right? There’s a good argument for the reality that the “Pastor” looks more like a CEO than an integral spoke on the wheel of Kingdom transformation. There are more than a few words to be written about how our view of Pastor as CEO has morphed the Missional Body of Christ into Church, Inc™, but that is a whole other post. If we run down Ephesians 4:11, what we find is that Paul doesn’t mention pastor, he mentions shepherds. Granted, many of your Bibles actually say, “Pastor” but the original Greek says “Shepherd,” as in actual shepherd. Pastor is what we get after the Greek gets translated into Latin and then translated into English. Point is, Pastor is a job description at this point. Shepherd is worth a second look. The Body of Christ is desperately in need of Shepherds. There won’t be a word study in this post but you can see the compliment of and complaint against “Shepherds” in God’s community over the Scriptures. Some of you might remember Firefly. Did he just reference Firefly? Yes, he did! Firefly! Do you remember Shepherd Book? This walking anomaly. 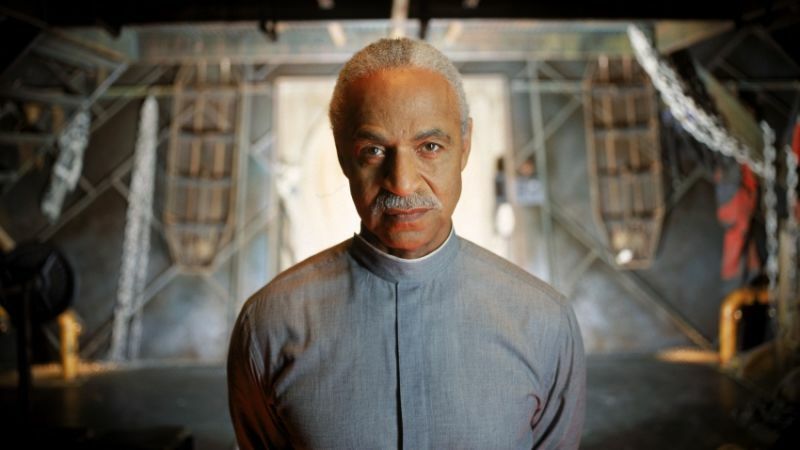 Book wasn’t a Christian presence on the show, but he was a Shepherding presence. And he was cool because…Sci-Fi makes everything cool! Shepherds cultivate community in the Body of Christ.They plant presence and harvest Shalom. In a previous post, A Moment With A Shepherd, we looked at an amazing Shepherd moment from This Is Us. 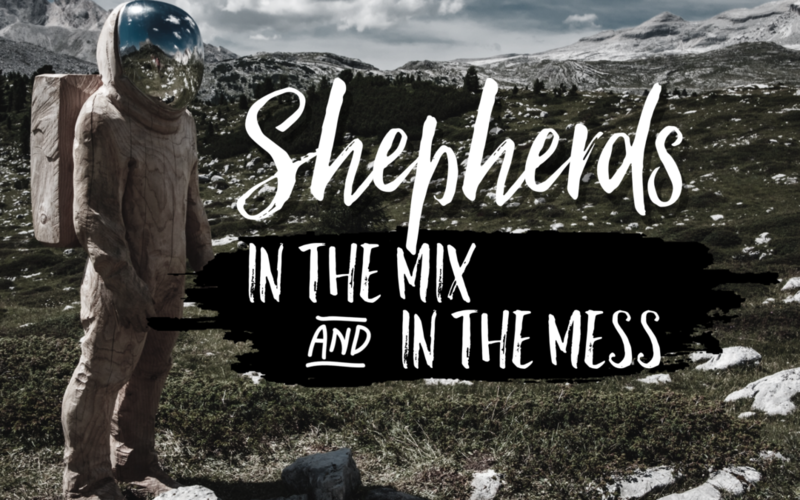 Shepherds are called and equipped to jump into the messiness of life without a Hazmat suit. To get into the middle of things, where it’s most uncomfortable and just be light. Quiet light. Shepherd point in the opposite direction of darkness by mere presence. Jesus is the penultimate Shepherd in this way. His whole gig is just…being here. This is a gift and a call that I struggle with at least 5 days a week. Ok, 6 days a week if I’m honest. Sometimes being quiet is the loudest way to love someone. I’ve often wondered how the Job story would have turned out if the “friends” would have shepherded instead of pastored. They could have sat with Job and cried with, hurting because his heart was broken. They could have been strength that he couldn’t find on his own. Their silence could have been their wisdom. They could have led him on walks, surrounding him, leading him to water and still meadows. They could have prayed for him when he could not pray for himself. But, they Church, Inc’d ™ him. They flashed their degrees. Taught the latest course they had taken in seminary (yeah, you know you’ve done it). They used all the big words. They need him to align his great discomfort to the place of their greatest comfort: their own beliefs. They didn’t want Job to mourn, truly. They wanted him to morph. They didn’t want to be comforting. They wanted him to be conforming. The faith community is full of Jōbs. We are full of broken hearts. We are jammed packed with confusion about God and what we believe and why we believe it. We bear scars from leaders and neighbors. We know we want to go, but we don’t know how to get there. Shepherds, we need you to buck the Corporate trend and start smelling more like your sheep. If you’re not an NCIS fan, when did you arrive on earth? Gibbs is great Shepherd in this clip, making space for Abby to be…herself. She has the room to hurt, to be vulnerable and to be embrace by presence. Be present, Shepherd. Get messy. What does “Pastor” mean to you? Is it a Shepherd? A Corporate officer? Something else? In between? Add your voice to the comments.